Call me corny, but I used to watch a lot of rom-coms growing up. Thanks to these movies, I’ve always felt that there’s one person out there who’s made just for you. Some people have found that person. Some have not. I’m just glad I have. Joan and I were introduced by my former coworker in 2009. I was hanging out with friends in Quezon City when my coworker invited me to join her in Makati because there was someone she wanted me to meet. Normally I would’ve said no because it was already late, I was with my own friends, and driving all the way to QC seemed like a hassle. But that night, I said yes. When I got to where they were, there were about five of them in the group. My initial thought was, "Sino kaya dito ‘yung papakilala niya?" I hoped it would be the girl with the cute smile. And then it turned out, siya nga! My officemate asked me to sit beside the girl with the cute smile: Joan. Soon after, Joan and I started going on regular movie dates, and I began to get to know her better. I found out that not only was she pretty, she was incredibly smart and was a hardworking medical student. She possessed a refreshing simplicity that drew me in—I could take her anywhere, ride a trike with her, or eat fishballs with her, and she wouldn’t flinch. And I felt comfortable around her, like I could tell her anything and she would understand me. Here was the catch: Joan planned to move to the US to practice medicine once she graduated from med school. I tried not to be too bummed about her leaving and just enjoy our dates while she was still around, but the busier she got, the more she declined dates with me. I wasn’t from the medical field, so I had no clue how hectic her days really were. I assumed she was just making excuses not to see me and was simply too nice to reject me to my face. So I began to date other girls; it just didn’t seem like she was interested in me anymore. A work opportunity brought me to Singapore several months after we dated, and the following year, Joan moved to the US. I dated other girls and also had an on-and-off long-distance relationship while I was in Singapore, but Joan and I kept in touch as friends through email. Even if it sometimes took us months to reply to each other’s emails, we’d always keep the back-and-forth going. In 2013 when Viber became popular, we started to talk more often. Sometimes she wouldn’t reply to my messages for long stretches because she was so busy at the hospital, and I would tell myself, “Eto na naman ‘to, ayaw niya yata sa ‘kin talaga.” I wasn’t even dating her then, but I found myself always wondering where I stood with her. There came a time when I would always dream about Joan at night, and I didn’t know why. By that time, I was about to move back to the Philippines to start my own business, but first, I wanted to go on vacation to Virginia in the US where my sister lives. I was thrilled because I figured that West Virginia—where Joan was—and Virginia—where I would be staying—were one and the same. Hindi pala! The only way for me to get to her was via a nine-and-a-half-hour bus ride. Still, I asked her if I could visit her, and she said yes. Finally, I was going to see Joan again! My sister and her family were surprised that I would travel almost 10 hours to a place I had never been to just for a girl I hadn’t seen in years. Even I was surprised at myself. When we finally met, it took Joan some time to warm up to me, and the fear that she didn’t feel for me as much as I did for her crept in again. But when we went on a trip to New York a week later, she started to relax more. And the more I spent time with her, the more I wanted to be with her for longer. I didn’t want to let her go again. But how would we make it work? She wanted to build a career in the US, while I wanted to start a business back home. Neither of us brought up the future of our relationship until one night towards the end of our New York trip when Joan told me herself that we should continue what we had. My initial reaction was, “Sige!” But at the back of my mind, I had doubts. I had been in a long-distance relationship before, and honestly, I didn’t want to be in one again because it was too difficult. But Joan thought otherwise. She assured me that everything would work out. She said that plans change and things would fall into place if we just worked on them together. It wasn’t the first time I had heard those words from a girl, but Joan was so sincere and optimistic about us that I couldn’t help but believe her. I had never had so much faith in a relationship until then. 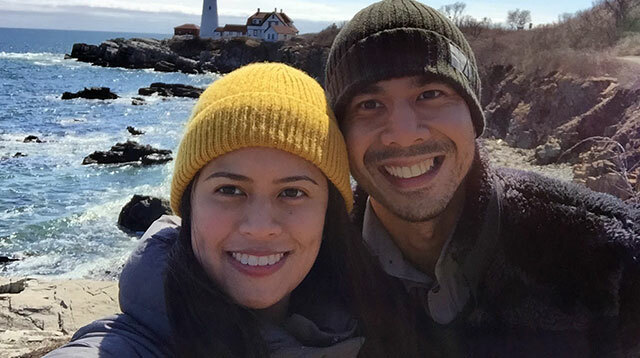 Once it was time for me to fly back to the Philippines, it was hard for us to say goodbye, but our newfound conviction that we could make our LDR work kept us going. The first few weeks were okay; we would talk on Facetime often. Weeks turned into months, and still we were hanging in there. 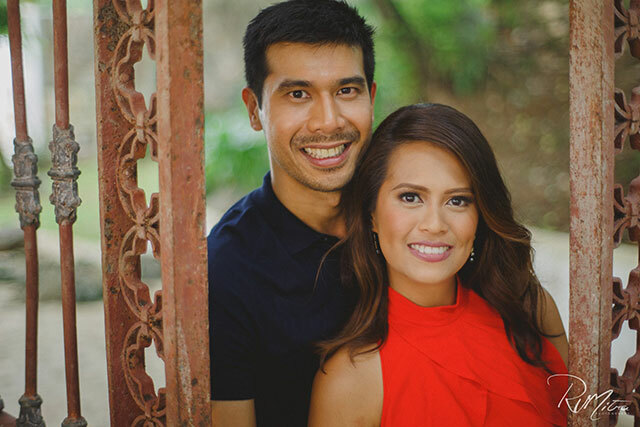 Then I realized that I was putting my plans of starting a business on hold for the relationship because the time difference between us—it was morning in the Philippines when it was nighttime in West Virginia and vice versa—always interfered with my schedule. I thought of going back to the corporate world, but then the 9-to-6 schedule would have left us with no time to talk at all. I was starting to get frustrated at our situation, but I stopped myself and thought, “I am sure about Joan. So why not do something about it?” I arranged to meet her family and relatives in Manila so they could get to know me and see that I was serious about her. I was nervous, but I went ahead and met them—all by myself. Here was another thing I did for Joan that I had never done for any other girl before; I had no hesitations about doing it because she was worth it. I knew it was too soon; we had only been a couple for eight months. But I also knew that I was sure about her. So what reason was there for me to wait? I booked a flight to Davao where Joan’s family is based to meet her parents again and tell them of my plans to marry their daughter, of which they were very supportive. My parents respected my decision, although they were surprised by it. At the time no one from my side in the Philippines knew Joan; they had never met her, so naturally they thought that things were moving too fast. I understood their concerns because I would’ve thought the same if I were in their shoes, but that didn’t stop me from booking that flight to see her anyway. I didn’t even tell relatives and friends about my plans; all I cared about was us being together. I went back to the U.S. in 2014 and surprised Joan with a proposal in D.C., to which she said yes. We got married in a civil ceremony in New York that same year. Now, Joan and I have been married two years, and we’re set to have a church wedding in the Philippines later this year. I did it. I took a huge risk for love. 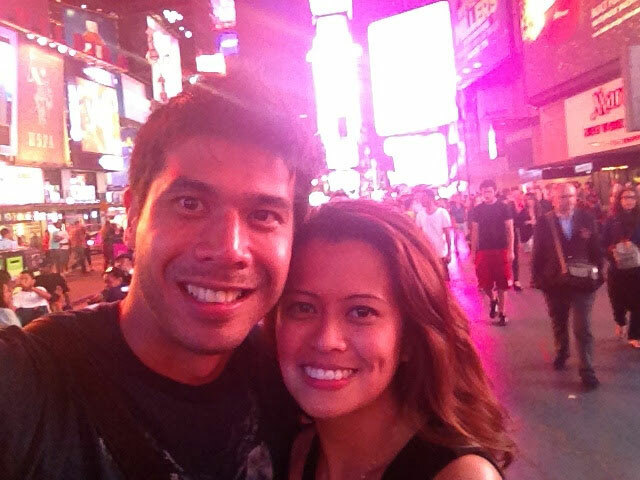 I gave up a career, business prospects, and a comfortable lifestyle in the Philippines to follow a girl across the world, and I have no regrets because none of those matter more than being close to her. It sounds cliché, but it’s true: You only live once. Do what you can to be with the one you love and don’t succumb to pressure from others about how your relationship should be, because you owe it to yourself to let your true love story unfold. The risk is huge, but the rewards are worth it. I know, because I’m here now, about to marry the love of my life a second time, and I’m still not over how lucky I am not just to have found her, but kept her, too.